Hohe Flächenleistung, außergewöhnliche Vielseitigkeit und Spaß am Arbeiten – ideale Rahmenbedingungen für Sie, um selbst große Flächen in kürzester Zeit zu mähen. Die Schnitthöhenverstellung der LT1-Serie lässt sich einfach bedienen und garantiert optimale Ergebnisse – selbst in schwierigem Gelände. Wünschen Sie Premium Features für ein höheres Level an Power, Leistung und Komfort, dann setzen Sie sich ans Steuer der LT2-Serie. Zwei Beispiele machen das deutlich: Die 12-stufige Schnitthöhenverstellung bietet Ihnen mehr Auswahl für Ihre bevorzugte Halmhöhe. Und durch den gefederten Sitz mit hoher Rückenlehne arbeiten Sie auch bei langen Mähzeiten ganz entspannt. All our rear discharge tractors are designed to transport grass clippings into the grass catcher with optimal efficiency. All LT Series rear discharge models feature a grass catcher made of durable fabric for flexibility and have an air passage to guarantee air flow and perfect collection. The hard top controls dust and reduces noise. The telescopic handle allows you to empty the grass catcher right from the driver‘s seat. 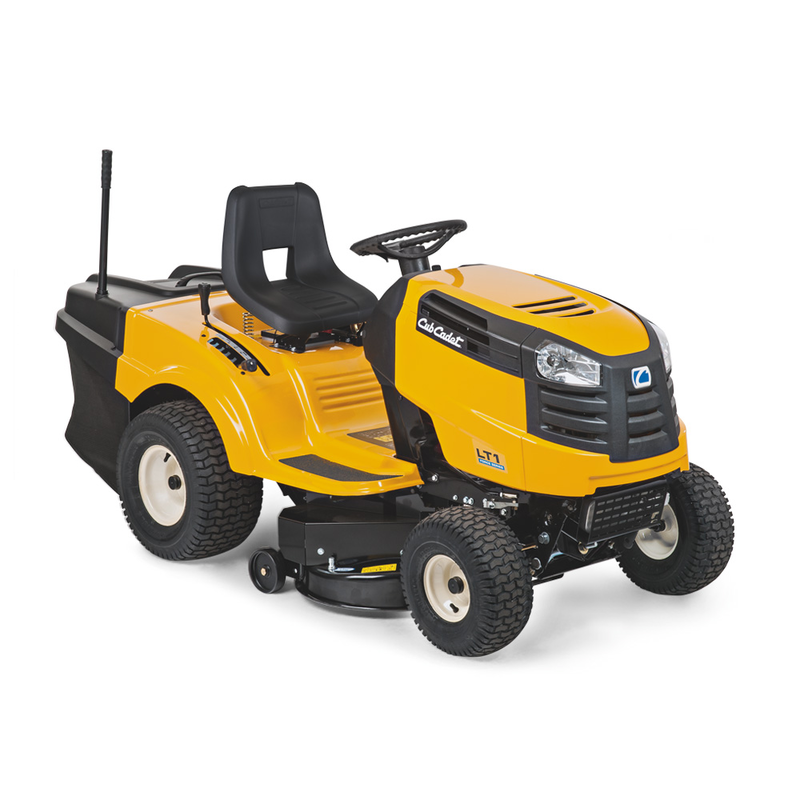 All Cub Cadet lawn tractors help redefine your notion of comfort. We improved the steering of the lawn tractors. Our precision gear-steering technology ­supports operators at work and makes your powerful lawn tractor even more efficient and surprisingly easy to manoeuvre. All tractor frames are made of fully welded and powder-coated rugged steel. Keeping all four wheels on the ground, however uneven the surface. The entire engine hood can be folded up within seconds without tools, for easy maintenance. Allows shift-on-the-go speed control. Simply choose the driving direction, set the desired basic speed with the speed shift lever on the dashboard and release the brake/clutch pedal. Push the pedal to slow down or press it all the way forward to stop. Releasing the brake pedal automatically brings the tractor back to a preset speed. Impresses with its modern technology. It features a self-lubricating hydro pump for minimum maintenance and maximum durability. The hydrostatic transmission also stands out for its velocity control as well as continual forward and reverse speeds. No clutching or shifting required. You can drive with millimeter accuracy, and very gently. 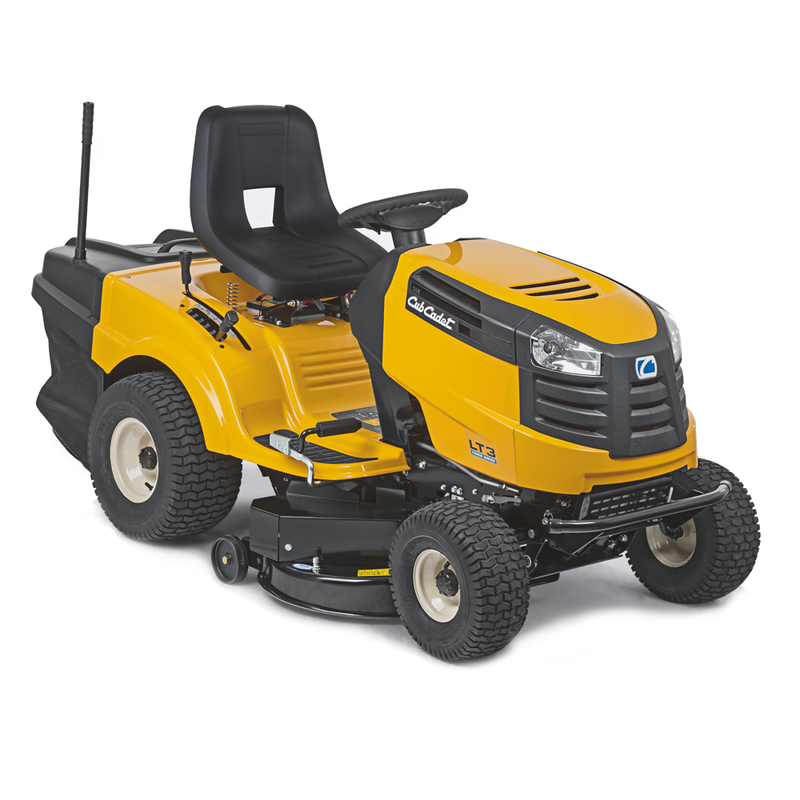 The XT Series lawn tractors are foot-pedal controlled. 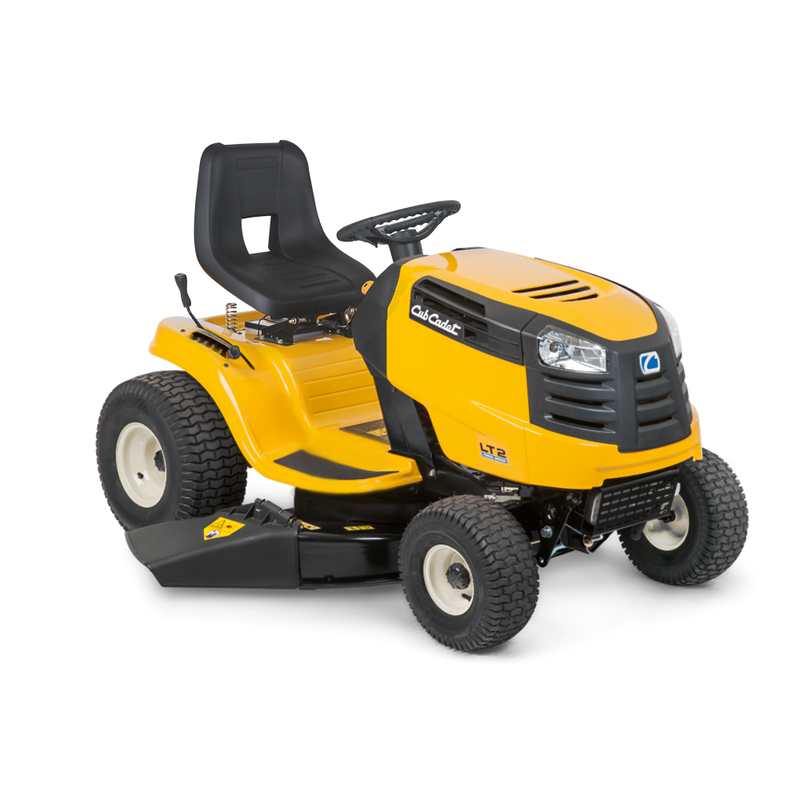 The LT Series tractors are controlled by either a hand lever (side discharger tractors) or a foot pedal (rear discharger tractors).